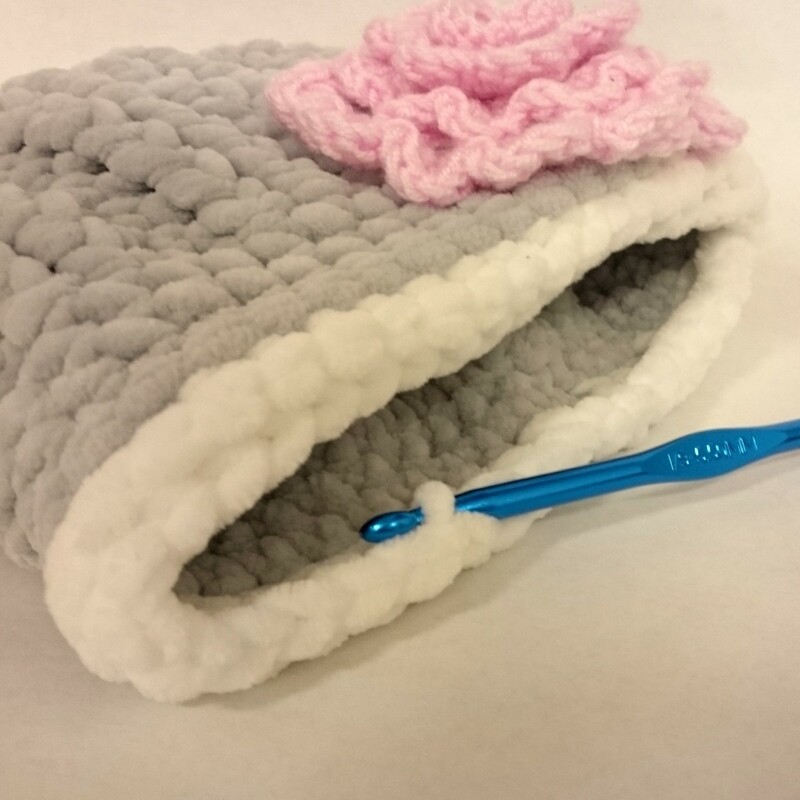 As you probably know I am crocheting sets for babies not only for photo props but also for babies to go home from birthing centers. 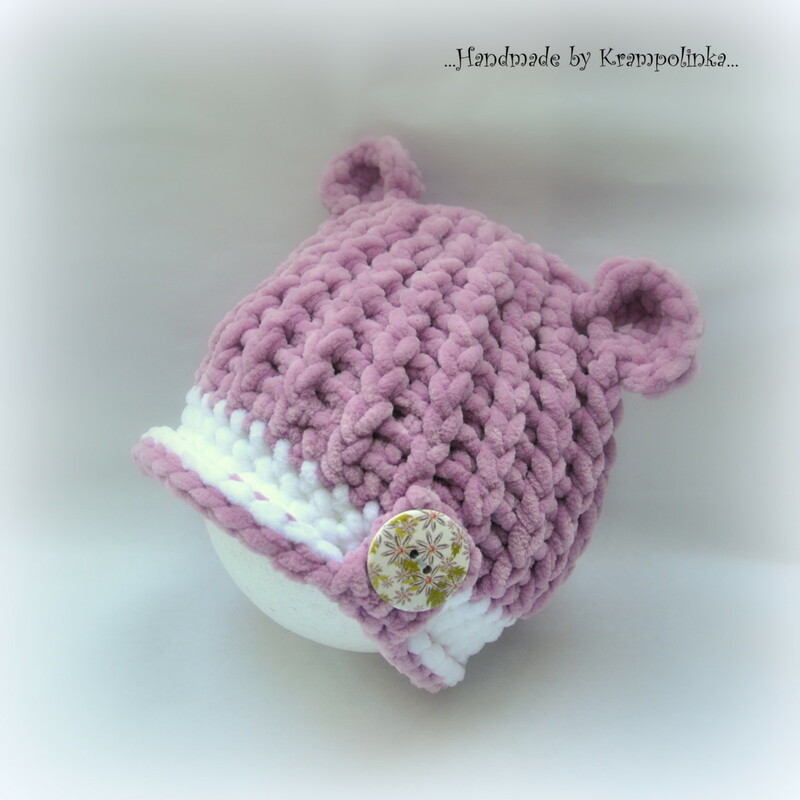 One day I got a message from a customer, let´s call her Helenka, who asked for two hats for her baby. She wanted to use them both for photo props and to be regularly worn. Wow. That was a challenge. 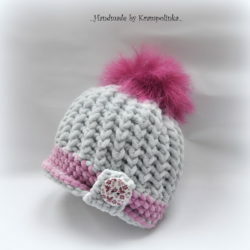 Photo props hats are usually more extravagant in opposite to an ordinary hat. So I designed a coolishek. 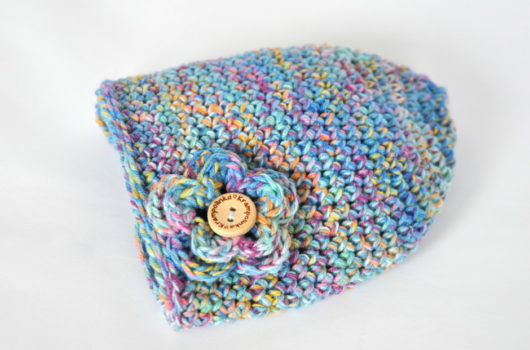 This plastic pattern and details will do a perfect photo and the yarn is soft and warm just perfect for a baby. I am so happy to share this pattern with you. I wrote it down in two sizes. Price to sell this hat is 190 CZK plus shipping. Each row starts with either 1 CH = Single Crochet or 2 CH = Half Double Crochet/Double Crochet and ends with SlSt. With the use of markers you can crochet around without using SlSt. 12th – 15th row: SC around the hat (40 SC). Start inside the hat in the last row. Start with SlSt, make 1CH. Continue with 3 SC into SC from the last row. TURN. Repeat 4 times. 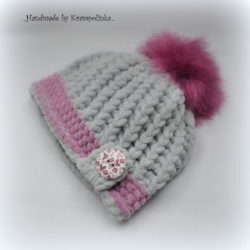 Make/sew the pompom to the hat. Sew the button through the hanging loop and the hat. 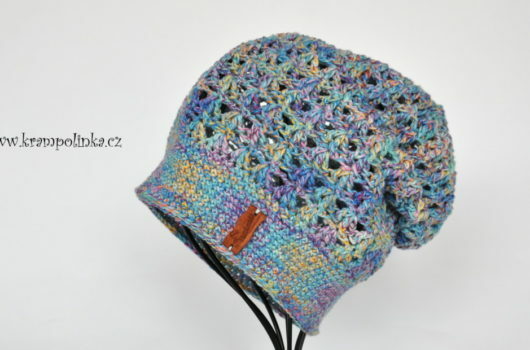 Price to sell this hat is 250 CZK plus shipping. That it is. 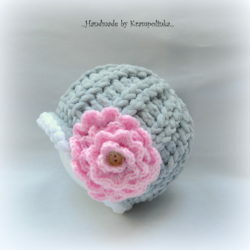 You can alternate this hat and add ears or add a flower. If you have any questions please leave me a message in a chat box or in the form on the webpage (called Kontaktní formulář). You can also subscribe to this website (called Odebírejte blog mailem). Please click on any advertisement on the webpage so I can run this page free of charge. To place an order for this hat please use my FB page Krampolinka. 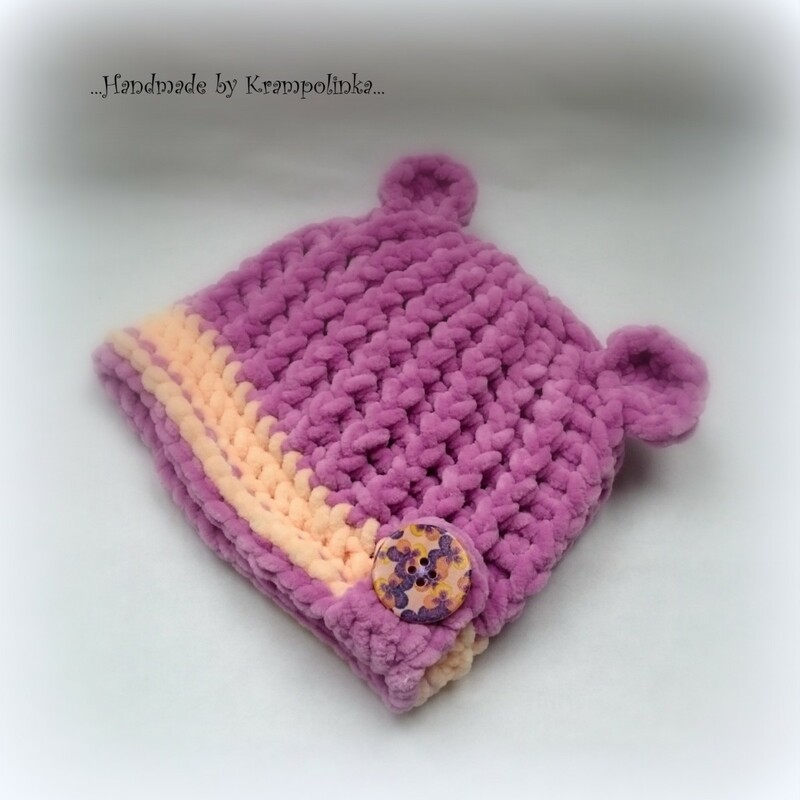 If you like this hat and try this pattern please share your pictures in the comments for the others to get inspired.